If there's anything I love more than staycations, it's tastefully done staycations. I love experiencing how the place is done, secretly thinking I could do the same. I love imagining that I could stay there forever but maybe that's the charm of staycations. It's that you're only there for a day or two, drooling and hoping for more. And one such place, was Tian Jing. 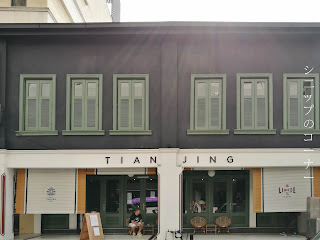 Tian Jing, or loosely translated as Air Well is located behind the hustles and bustles of Petaling Street. Sharing a space with Lim Kee Cafe, it's one of those places where you'll just want to take a break in and soak up the feelings that it brings. And it's hard to see why not. Because, why would you leave? 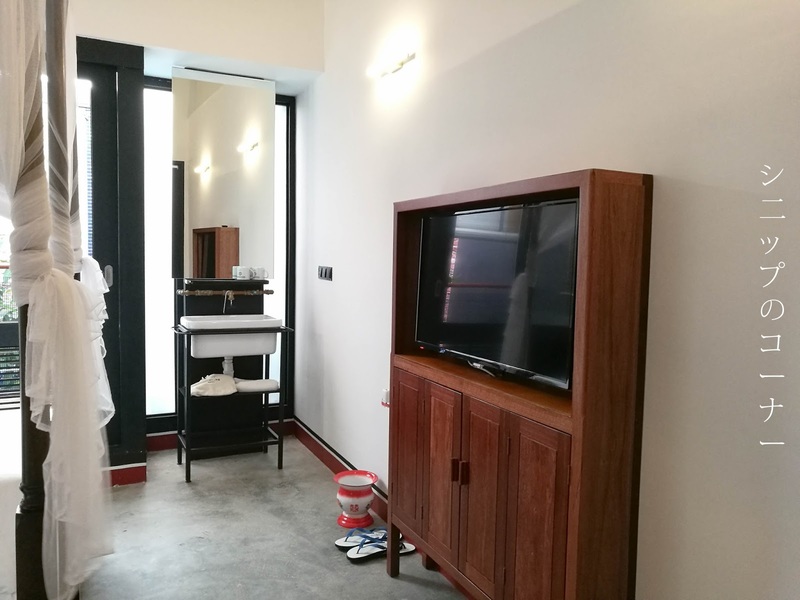 When I first made my booking to Tian Jing, I was slightly worried that it would be noisy and smelly from the fact that it was too close to Petaling Street for comfort. After all, it was a weekend when we were there so the people were out in full force - perhaps looking to snag a pair of fake Nikes or a G-Shock at unbelievable prices. Surprisingly however, this was never the case at Tian Jing. It remained clean and stink free, and true to its name it was really open to bring nature into the room. 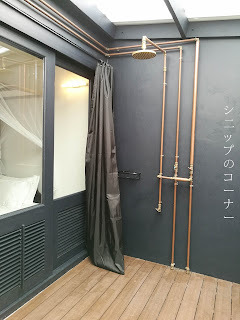 A rainshower, tastefully placed outdoors. 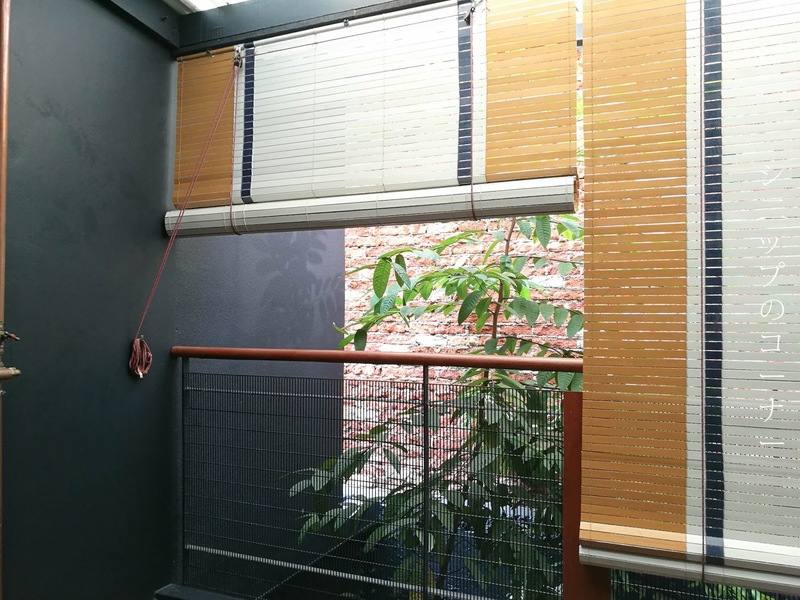 And blinds for privacy, although no one could possibly see you. The toilet and showers are placed by the balcony of the room, and is fully outdoors so you can feel the cool wind simply make its gusting visit as it likes. 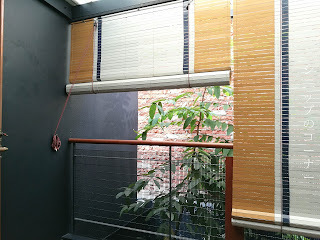 Blinds are provided for you to feel safer, although just to be clear there is nothing but a brick wall right outside your room. The hot water shower does take a while to come in full force but once it's there, it could get scalding hot so it's recommended to kind of give the shower some time. I loved the wooden floor panels they put up, possibly to hide away the outlook of drainage but it was a gorgeous touch to the otherwise classical room. 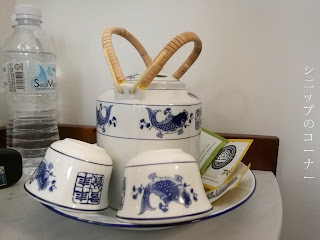 Such as this old school blue and white tea set. 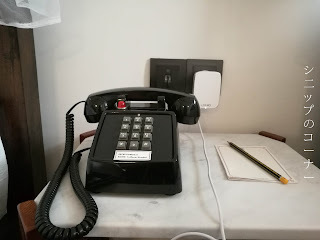 And a phone like no other! 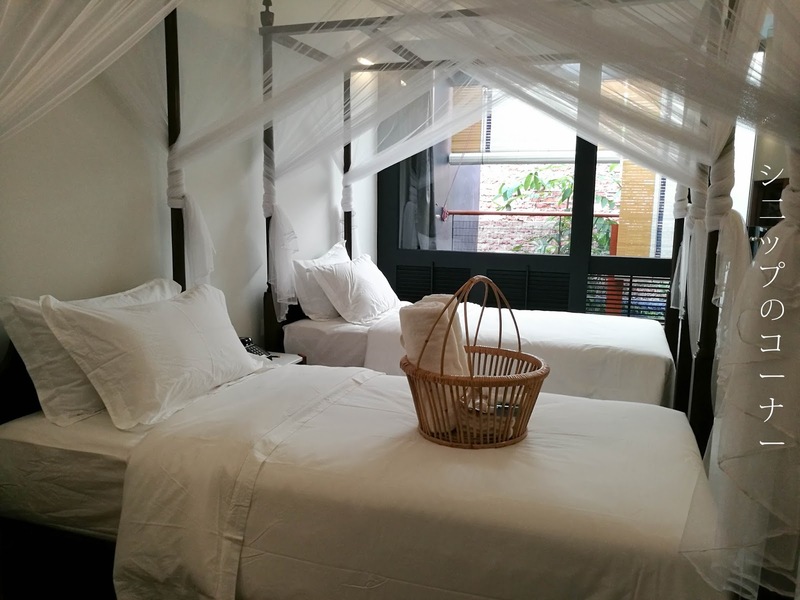 Tian Jing Hotel does provide basic necessities such as towels, bath gels, shampoos, toothbrushes, and toothpaste. I'm grateful for hotels like these because if I'm out to a staycation then I'd definitely not want to carry all these little things. One great thing about this hotel is also on the location, where food is abundant and you're a mere 7 minute walk away from the MRT and LRT stations. Having said that, would I or would I not come back? I suppose I would, but not on a regular basis. I do find that as a boutique hotel with the most basic of all basic hotels, it is slightly on a pricey side. I have to say it's gorgeous, but boy that price is something to think of. Maybe someday.